Welcome To Natural Enrichment Industries. Family Owned and Domestically Sourced. email: sales@neitcp.com for a free sample today! Tricalcium Phosphate is used to retain moisture in the meats and as a marinade. 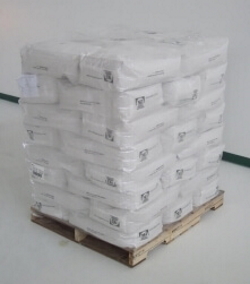 Tricalcium Phosphate is used as an anti-caking agent in many food manufacturing processes, such as salt substitutes, pet foods, powdered icings, sugars, flour, spice blends, hygroscopic food products, etc. Used in the frozen food industry in products containing cream cheese; with an addition of Tricalcium Phosphate once the cream cheese is thawed, the cream cheese does not break down as it would otherwise, thus retaining a creamy consistency. 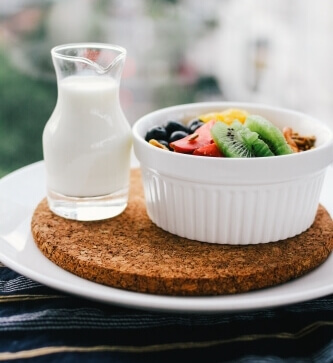 TCP is also used in the yogurt industry to maintain a smooth consistency. An effective ingredient used to add calcium enrichment without adding saturated fat. Tricalcium Phosphate also helps to maximize calcium absorption in the body. Tricalcium Phosphate has been a traditional choice for calcium enrichment in the orange juice industry. It has also been found to reduce the survival rate of salmonella. Used as a fortification ingredient in many varieties of food enrichment; such as ice cream, yogurt, curries, seasonings, fruit drinks, noodles, chocolate, milk, bread, etc. Natural Enrichment Industries was founded by Emily M. Kuzma in November, 2000. Located in the small Southern Illinois town of Sesser, Emily’s desire was to provide employment to the unstable economy of Southern Illinois as well as providing a healthy ingredient to consumers. Emily, along with her husband Bill, invested time and infused capital to build a growing manufacturing company. Starting with only five employees in 2000 and zero pounds of production of Tricalcium Phosphate the company grew to 28 employees and was manufacturing over 14,000,000 pounds of TCP in 2008. In 2007, Emily purchased the former Orpack Stone manufacturing plant/warehouse in Herrin, Illinois, a mere 22 miles from the Sesser plant. Purchasing the 130,000 square feet Herrin facility allowed NEI room for expansion. The new plant provides 12 shipping and receiving docks, tanker loading facilities, and the capabilities to warehouse product for customers. NEI’s Herrin facility utilizes 75,000 square feet as a warehouse to provide customers the guarantee program of having material available when needed. After renovating the plant, building offices and painting the facility, the corporate offices and finishing line were moved to the Herrin facility in September, 2009. The facility in Sesser remains as the manufacturing plant. NEI continues to grow their production and employee base. 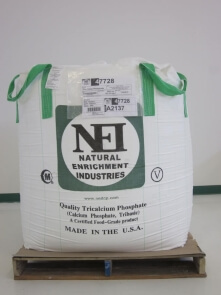 Natural Enrichment Industries manufacturers a high quality food grade Tricalcium Phosphate. Our raw materials are all US sourced and SQF Certified. The applications of Tricalcium Phosphate include, but are not limited to: Calcium/phosphorus fortification, anti-caking agent, clouding agent, flow agent, leavening agent, binding agent, buffering agent, releasing agent, and coloring agent in ceramic. 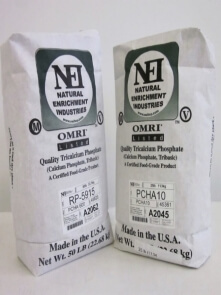 Natural Enrichment Industries, a manufacturer of US produced Tricalcium Phosphate, does not believe in taking the “cookie cutter” approach. All customers are different with individual requirements. NEI will review your specification and produce a product to meet your requirements. We dedicate ourselves to providing superior customer service before and after the sale. Our employees take great pride in the Tricalcium Phosphate they produce and are committed to our clientele. Our Mission is to lead in manufacturing quality and responsibly sourced domestic products to meet our client’s needs safely within a culture of entrepreneurship and innovation. This privacy notice discloses the privacy practices for Natural Enrichment Industries and our website; http://www.neitcp.com. This privacy notice applies solely to information collected by this website, except where stated otherwise. We are the sole owners of the information collected on this site. We only have access to/collect information that you voluntarily give us via email, website or other direct contact from you. We will not sell or rent this information to anyone. We will use your information to respond to you, regarding the reason you contacted us and/or to use the information to tailor our content to suit your needs and help better understand our audience and customers. We will not share information about individual users with any third party, except to comply with applicable law or valid legal process or to protect the personal safety of our users or the public. You may opt out of any future contacts from us at any time. You can do the following at any time by contacting us via the email address or phone number provided on our website: See what data we have about you, if any. Change/correct any data we have about you. Have us delete any data we have about you. Express any concern you have about our use of your data. By using this site, you consent to the collection and use of this information by www.neitcp.com.